Today I have for you our Cookies & Cream Bark! This easy and quick recipe tastes just like the delicious candy bars that we all love. The best part about it is that you’ll need just two ingredients to make it! 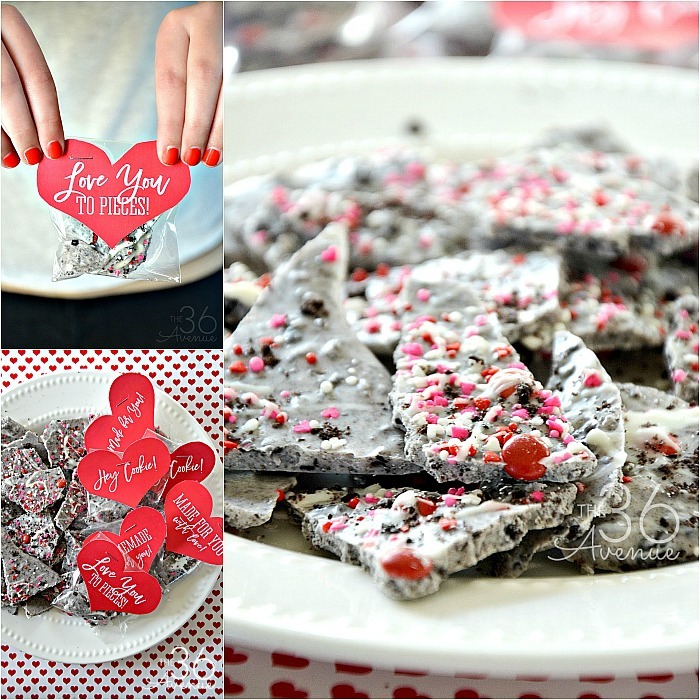 This bark recipe is perfect for a dessert, snacks, or to make festive Valentines! My family loves it… It’s so good! Talking about Valentines… Can you believe Valentine’s Day is almost here? WHAT. THE. HECK?! Where did January go? 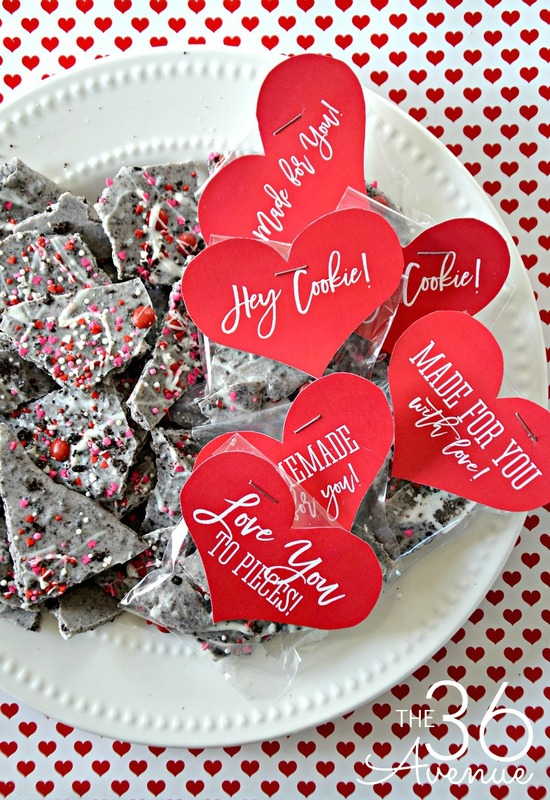 Anyways, I hope this quick and easy recipe and printable help you have the sweetest Valentine’s Day ever! 1. In a food processor crush the Oreos into small crumbs. 2. 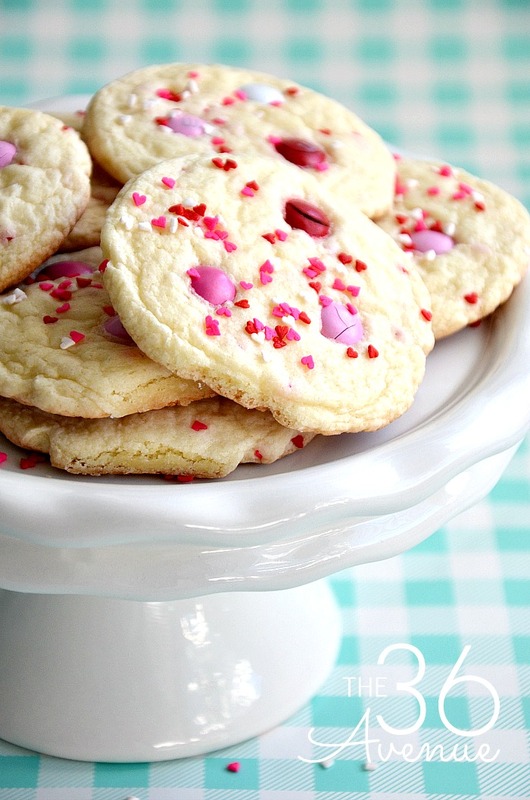 Melt the white chocolate chips in the microwave. Make sure to stir the white chips every 30 seconds to make sure you don’t overcook them. 3. Little by little add the Oreo crumbs into the melted white chocolate chips. Stir with a spoon and keep adding Oreo crumbs until you achieve the flavor of Cookies and Cream. 4. Cover a cookie sheet with Wax Paper. Pour the mixture on top of it and spread it out until it is a quarter inch thick. Put it in the fridge for 30 minutes or until it hardens. 5. 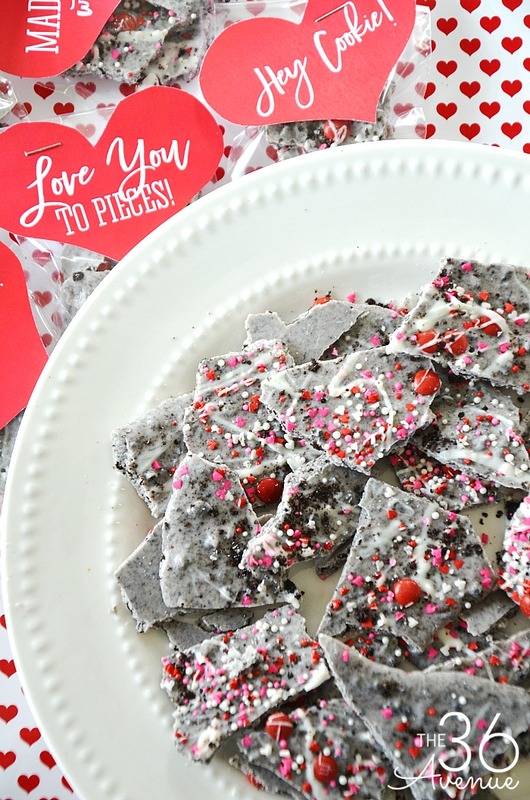 Cut the Cookies & Cream Bark into pieces. You are done! NOTE: Before you put it in the fridge you can add sprinkles to make a festive Cookies & Cream Bark! My kiddos will be giving this yummy treat to their friends! 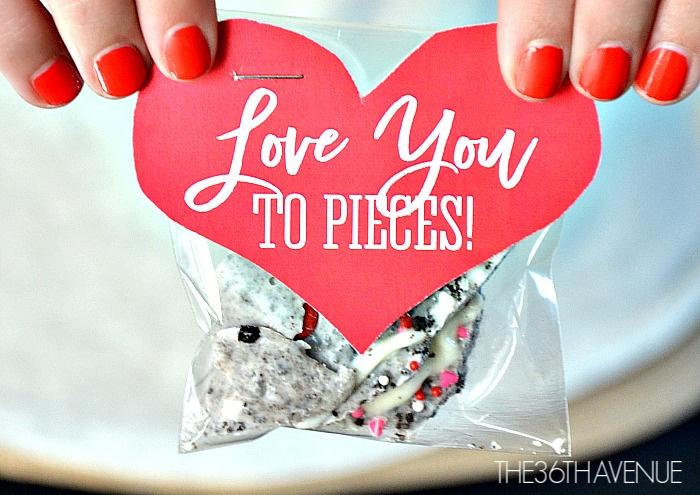 To give it away put a few pieces of bark inside of a small snack bag. 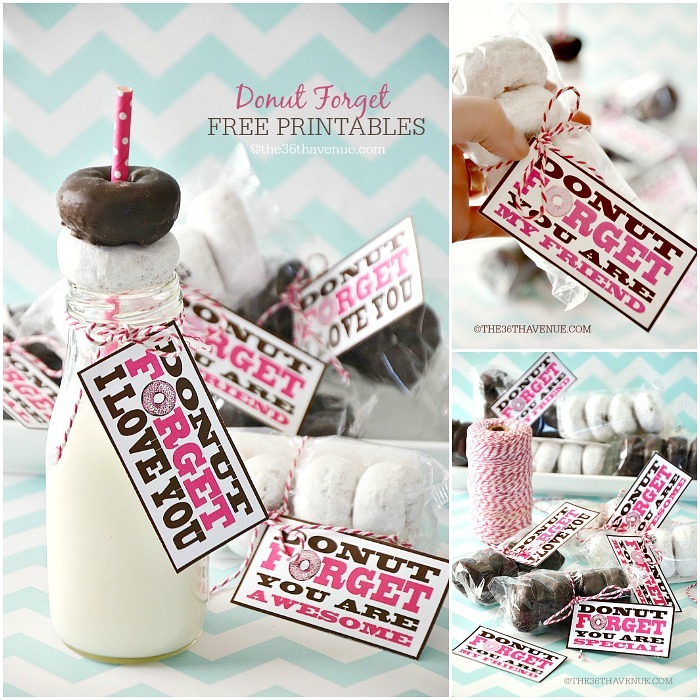 Fold the top and staple the cute heart tag to it. I made some adorable printable tags for it! 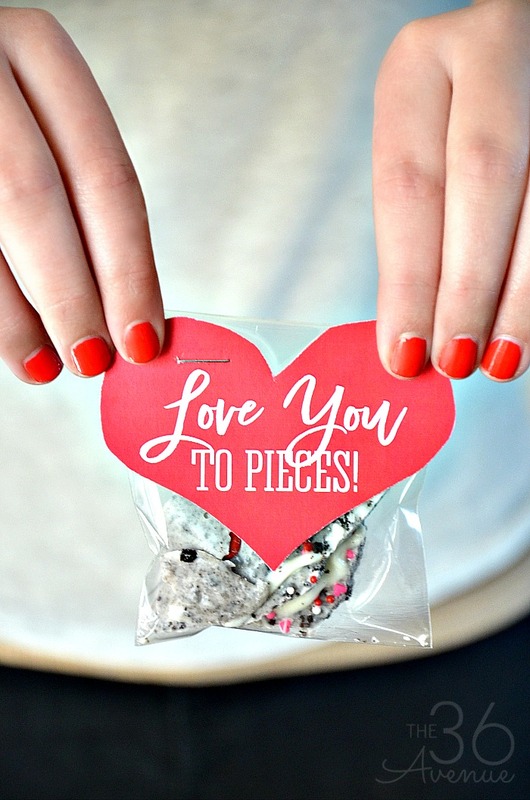 Here are some other Valentine’s Day edible ideas and printables from me to YOU! Yummy, yummy! And those tags are perfection! Those matches are the cutest things!! !